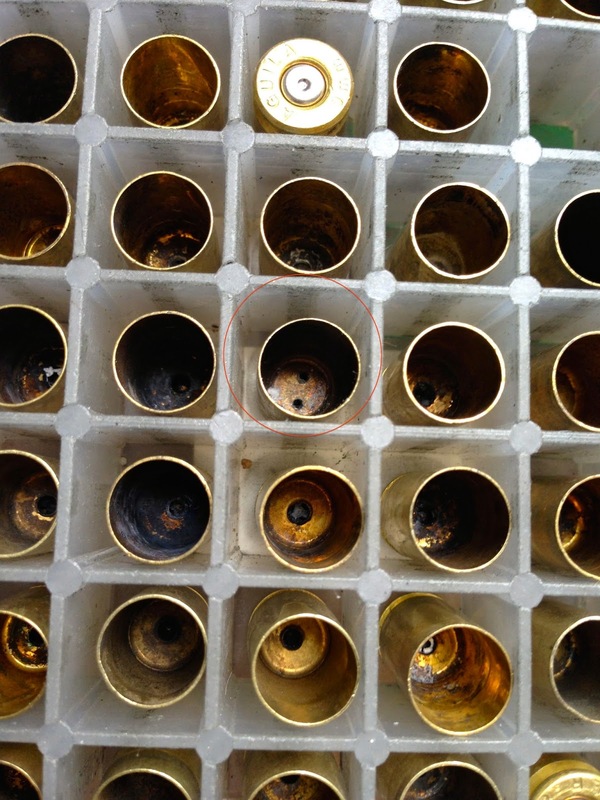 Sorting through a pile of brass is relatively easy when you have the awesomely useful Shellsorter tool. .45 and .40 (thank you that .357 Sig is not more mainstream!) separate easily in the sorter, and while there may be a "Russian Nesting Doll" effect sometimes, with a .40 wedged into a .45, it is pretty simple to correct in the final sort. 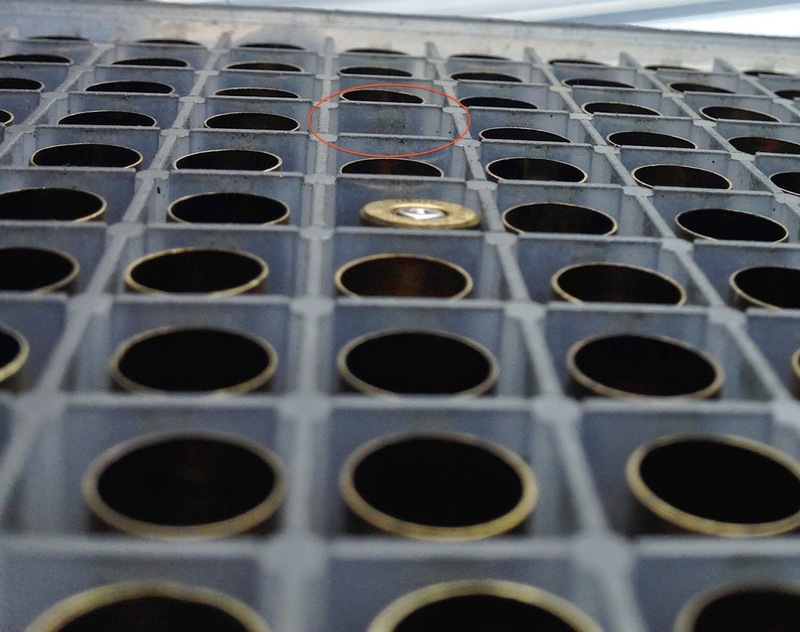 Here's a simple trick to handle it: Using a .40/.45 caliber ammunition box and a dental hook we can quickly check heights of the casings and also check the flash holes to see if there are Berdan-primed pieces or not. 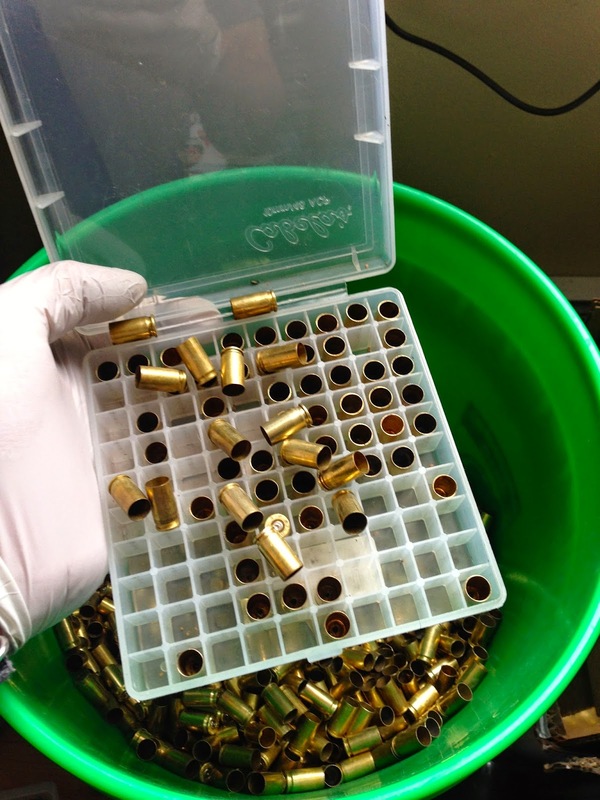 Over your 5 gallon, or whatever bin you use to hold the sorted brass, lightly toss a few handfuls of brass over the plastic case and gently shake the case. The brass will generally fall in base first. Eyeball the case from all sides, viewing "in profile" to inspect the heights. Taller cases are probably 38 Super of some variety. 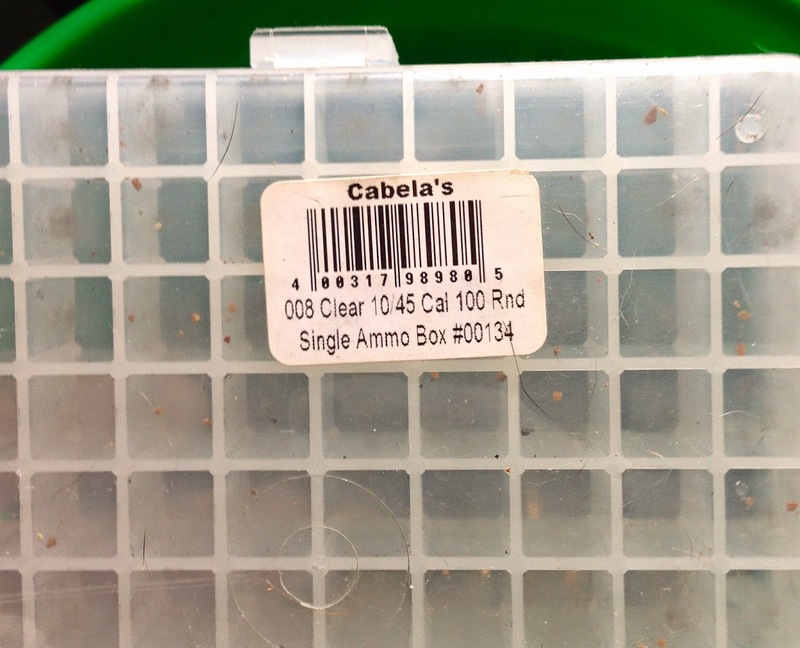 The shorter cases are your .380 or 9Mak. 38 Super - Kozy's brass! If you get a few pieces that are bottom-up, just eye-ball the headstamp. If it isn't NATO, you're probably in the clear. If it is NATO, specifically POF 88 (Pakistani, I think?) turn it over and inspect the flash holes. Done! If you're just prepping brass, grab another beer. If you're reloading, dump it into the hopper and get to work!